Immigrants who want to open a corner store, pay for a wedding, or buy a house often turn to a "lending circle." Called tandas in Latin America, susu in West Africa, and hui in China, they offer pooled-risk loans from informal groups with family honor as collateral. Repayments don't necessarily build creditworthiness, however, because transactions are not reported to credit bureaus. Enter Finanta, a Kensington nonprofit with a hybrid twist on old-world tradition. As a community development financial institution, Finanta manages the lending circles of some immigrant groups by reporting transactions to the credit agencies, but retaining the risks of non-repayment within the small spheres of trust. That's just one innovation cited in "Bringing Vitality to Main Street: How Immigrant Small Businesses Help Local Economies Grow," a study to be released Wednesday by the New York-based Fiscal Policy Institute. Another key finding: Immigrants are 10 percent of the population of greater Philadelphia, 12 percent of the labor force, and 28 percent of "Main Street" business owners, and account for $295 million of the $1 billion earned annually by such businesses in the region. The report defines Main Street businesses as retailers, accommodations, food services, dry cleaners, and laundries; nail salons and other personal-care services; car washes; and beauty salons and barber shops. Founded in 1991 to analyze New York state fiscal data, the Fiscal Policy Institute also studies immigration trends nationally. Nationwide, the new report finds, immigrants own 61 percent of gas stations, 58 percent of dry cleaners and laundries, and 53 percent of grocery stores. Based on census data and field research, the report focuses on Philadelphia, Minneapolis-St. Paul, and Nashville, three areas with similar concentrations of immigrants. "We were interested in the bread and butter of economic activity," said the report's author, David Dyssegaard Kallick. "We all know about Google and other high-tech businesses that have added a lot. But immigrants are in fact playing an outsize role at the neighborhood level. It deserves a closer look." In addition to Finanta, other Philadelphia institutions mentioned are the Mayor's Office of Immigrant and Multicultural Affairs, lauded for promoting "cultural competency" in interactions between city agencies and the public, and the Welcoming Center for New Pennsylvanians, a nonprofit that has mediated tensions between shopkeepers and street vendors in a part of West Philadelphia with a growing immigrant population. While the economic contributions of highly skilled, visa-authorized immigrant-entrepreneurs are well documented, Kallick said, less studied is the role of ordinary immigrants, documented and not, in sustaining the shops and services that are the backbone of neighborhoods. Of about 13,000 immigrant business owners in the metro Philadelphia area, which includes four counties in South Jersey, four in Southeastern Pennsylvania, and one each in Delaware and Maryland, he said, the greatest number - 1,800 - were born in India. 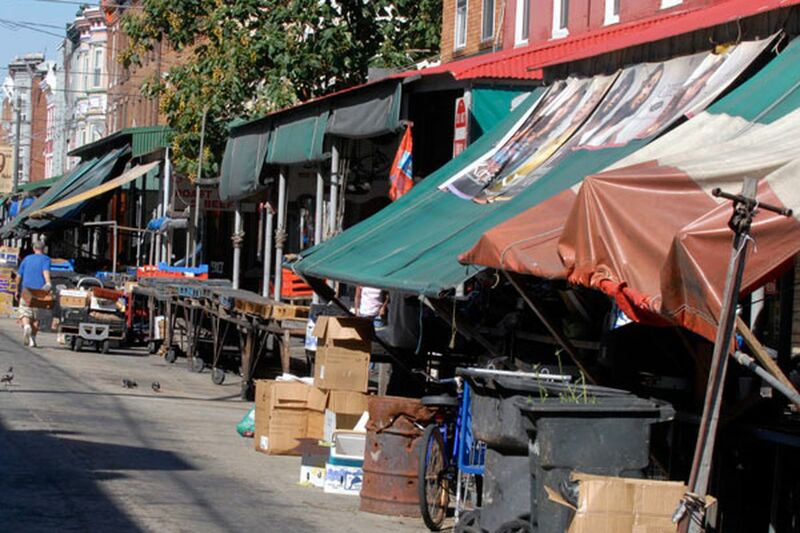 The immigrant-owned businesses of Philadelphia are generally concentrated in commercial corridors: the Italian Market area near Ninth Street and Washington Avenue, El Centro de Oro on Fifth Street north of Lehigh Avenue, 52d Street near Market Street, and Woodland Avenue near 65th Street. The report recommends creating municipal offices to "set a welcoming tone" for immigrants, innovative options for financing, and mentoring to help immigrants navigate unfamiliar regulations, among other ideas. While bolstering Main Street can't compete with the impact of luring a major company to the city with tax breaks, Kallick said, a modest investment can achieve a lot. "Immigrants are not magic ingredients to an economic development strategy, but they are an asset to the cities they join," he said. "When that asset is underutilized, it is a loss to the local economy."